The psychological thriller from writer/director Carolyn Saunders is set for release in 2018. 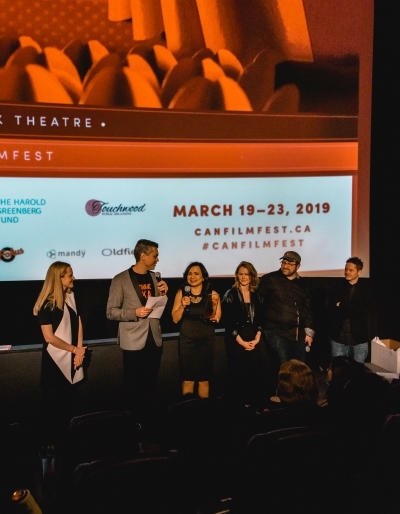 Avi Federgreen’s Indiecan Entertainment has acquired the North American distribution rights to writer/director Carolyn Saunders’ debut feature The Wasting. Produced by Jeanne Stromberg and Alan Hausegger of Toronto’s Stromhaus Productions and Saunders’ Endzone Films, the psychological thriller filmed in the U.K. in late 2015, with post-production taking place in Toronto. The film is scheduled for release in the first quarter of 2018. The Wasting tells the story of an anorexic teenager navigating first love, sexual awakening and her controlling parents. When she starts seeing a ghost, nobody knows if it’s real or a creation of her starving body. The movie stars musician and actor Alexz Johnson (Final Destination 3), Gray O’Brien (Coronation Street) and Shelagh McLeod (Holby City). Earlier this year the film was picked up by international sales agent APL Film, which sold the film to Beijing, China-based distribution company Lemon Tree. This spring The Wasting won the best film prize in two categories at Vittorio Veneto International Film Festival – Kids and Teens International Film Festival, as well as the best horror prize at the Austrian Film Festival.